1910 Born on 27 February at 40 Krucza Street in Warsaw. 1928 Passes her matriculation examinations and begins studying law at the University of Warsaw. 1929 Breaks off her studies and starts work in a notary’s office in Łódź. 1933 Passes the notarial examinations, and becomes the first woman in Poland eligible to become a notary. 1939 Marries Zygmunt Hertz in February. The Second World War breaks out in September. 1940 Reunited with her husband in Stanisławów, on their way back to Warsaw they are arrested by the NKVD in Lwów (now Lviv, Ukraine), and deported to the Mariyskaya ASSR. 1941 Freed following the Sikorski-Mayski Agreement, they both enter General Anders’ Army in the USSR. Zofia works in the editorial office of Orzeł Biały (White Eagle) in Buzuluk. 1942 She meets Józef Czapski, works in YangiYul, where the Polish army HQ is located. In August she is evacuated to the Middle East. 1943 Zofia works on Parada (Parade) in Cairo. In Quizil Ribat in Iraq she first meets Jerzy Giedroyc. 1944 She reaches Italy with the 2nd Polish Corps, and joins the editorial team of Dziennik Żołnierza APW (Soldier’s Daily of the Polish Army in the East) in Florence, then in Bologna. 1945 End of the Second World War. Zofia Hertz and her husband remain in exile, continuing to serve in the 2nd Polish Corps of the Polish Armed Forces in the West. 1946 In February, the Literary Institute is founded in Rome. Zofia runs the administration for the publishing house. She becomes Jerzy Giedroyc’s closest collaborator. 1947 The first issue of Kultura is published. The Institute moves to Paris. 1948 Zofia Hertz is demobilized, and recognized by the French authorities as a political émigré. 1962 She compiles the “Humor krajowy” (Humour From Poland) column for Kultura, starting with the June issue. 1979 Death of Zygmunt Hertz. 2000 After Jerzy Giedroyc’s death, Zofia becomes the director of the Institute. She brings out the last issue of Kultura, no. 637. 2001 Zofia Hertz receives the Medaille d’Or de la Ville from the mayor of Maisons-Laffitte. 2003 On 20 June, she dies in the hospital at Maisons-Laffitte. Zofia’s parents, Ludwik Neuding and Helen Nisenson, divorced shortly after her birth, and she was brought up by her mother. She started her education as a boarder at the school in Warsaw run by Janina Popielowska and Janina Zdzienicka. After the death of her mother in 1921, Zofia moved to Łódź and, after a short stay with her uncle’s family, she moved into lodgings. In 1922 she entered the Girls’ Secondary School run by Roma Konopczyńska-Sobolewska. Just before her final exams, on 5 May 1928 she was christened in St Joseph’s Church in Łódź by Fr. Stanisław Wilk. Her godparents were Maria Łazińska and Miron Lewandowski. After passing her matriculation exams, Zofia entered Warsaw University to study law. She was living with aunts on her mother’s side. After her first year, financial reasons compelled Zofia to break off her studies and return to Łódź. She began working at a notary’s office attached to Łódź District Court. Thanks to her hard work and application she qualified to sit for the notarial examinations, which she passed. On 13 May 1933 she became the first woman in Poland eligible to become a notary, which the local press, including Kurier Łódzki (Łódź Courier) and Głos Poranny (Morning Voice) made much of. A change in the law blocked her chances of becoming a notary, but she continued working at the same notary’s office. At the beginning of 1938 Zofia met Zygmunt Hertz and they married on 11 February the next year in the church of the Raising of the Cross in Łódź. The newly-weds spent their summer holiday – the last before the outbreak of the Second World War – on the Hel Peninsula, in Jurata and Jastarnia. They returned to Łódź on 24 August after their holiday was cut short by the general mobilization and Zygmunt’s call-up. Zofia spent the first months of the war in Łódź with her father-in-law, who was soon arrested by the Gestapo. After his release, she moved to Warsaw. At the beginning of 1940, on receiving news from her husband, Zofia travelled via Lwów (now Lviv, Ukraine) to Stanisławów (now Ivano-Frankivsk), where they met. On their way back to Warsaw, they were arrested by the NKVD in Lwów and condemned to deportation to the Mariyskaya ASSR, where they worked for 14 months in a forced labour camp at the Tsynglok settlement, felling timber. They were freed after the Sikorski-Mayski Agreement of 30 July 1941, and in September got through to the Polish army, newly forming within the USSR. The Polish army in the USSR (General Anders’ Army) assigned Zofia Hertz to the Department of Information and Education, where she undertook typing duties with the editorial team of Orzeł Biały (White Eagle) in Buzuluk. In the summer of 1942 Zofia started her collaboration with Józef Czapski, who headed this Department in YangiYul. In mid-August, the army was evacuated to the Middle East, and in early 1943 she started to work in Cairo on the editorial team of the illustrated weekly Parada (Parade). Zofia returned to her unit later in spring, where during a stopover in the Quizil Ribat desert in Iraq she first met Jerzy Giedroyc, who was then director of the Publications Unit, and their subsequent close collaboration started. That December she was promoted to public relations officer (PRO). In March 1944, the 2nd Polish Corps was detached from the Polish Army in the East, and with them Zofia Hertz came via Egypt to Italy. In the summer of 1944, after Józef Czapski and Jerzy Giedroyc had left the army, Zofia was transferred to Ancona, where she worked for two months in a savings bank for soldiers stationed in the Mediterranean basin. She subsequently returned to the 2nd Polish Corps’ Department of Culture and Press in Rome, and moved with it first to Florence, then Bologna, working as a typist for the Dziennik Żołnierza APW (Soldier’s Daily of the Polish Army in the East). Zofia belonged to the small group of people who created the Instytut Literacki (Literary Institute) in Rome in February 1946. She started running the Institute’s administration in March. 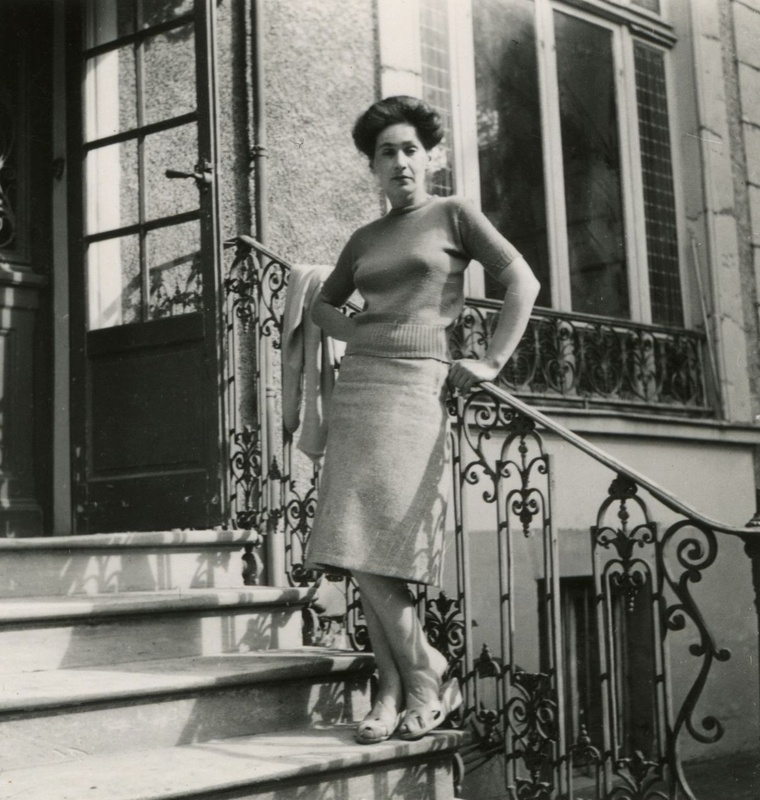 In October 1947 the publishing operation moved to France, where she, her husband, Jerzy Giedroyc, Józef Czapski, and his sister Maria lived together in Maisons-Laffitte at Avenue de Corneille, and later at Avenue de Poissy. To her role was added that of lady of the house. She combined her administrative and accounting duties with editing, proof-reading and translation, and also, between 1962 and 1990, with compiling the “Humor krajowy” (Humour From Poland) column for Kultura. After the death of Jerzy Giedroyc Zofia assumed responsibility for the Institute. She brought out the last issue of Kultura – no. 637 – in October 2000, and carried on publishing Zeszyty Historyczne. She was decorated with the Commander’s Cross of the Order of Polonia Restituta, and received the Editor’s Prize of the Polish PEN Club in 2000. The following year she was awarded the Medaille d’Or de la Ville by the mayor of Maisons-Laffitte. Zofia was recognized as a political émigré in 1948, and never applied for French citizenship. She died on 20 June 2003 at Maisons-Laffitte, and was laid to rest beside her husband at the cemetery in Le Mesnil-le-Roi, near to the other co-creators of the Paris Kultura.